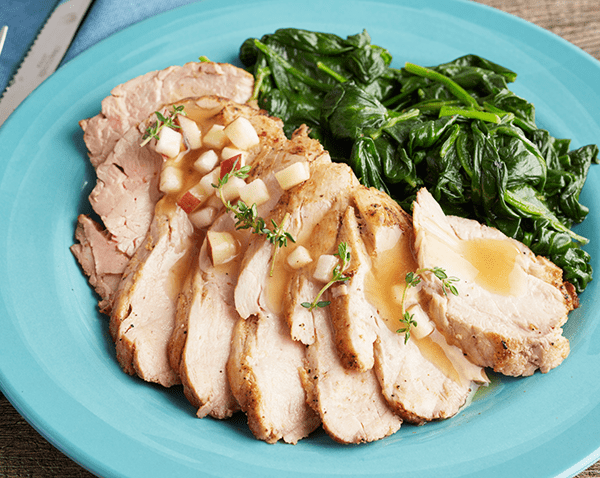 Roasted loin of pork with a light paleo apple gravy. 6 oz portion. PORK, WATER, GLUTEN FREE BREADCRUMBS, SUNFLOWER & OLIVE OIL, APPLE JUICE, WATER, ULTRA SPERCE MAIZE, WINE, ONION, GARLIC, BLACK PEPPER, THYME.